The whole idea is to create a space that can be maintained by your children. So, keep it simple. It’s ok if you want to make it cute, but too much “stuff” defeats the purpose of keeping things organized. You can experiment with different ideas to see what works best for you and your family. Keep book bags off the floor and counter tops by providing hooks for hanging. Use labels of some sort to designate spots for each child. There is nothing worse than discovering that you have no idea where the permission slip is for your child’s field trip is on the day of the field trip! It’s probably not the end of the world, but if you have to get to work, chances are you don’t have time to run by the school and sign another slip. Make sure that never happens by having a special place for important school related papers. There are so many good ideas for drop zones available on the internet. 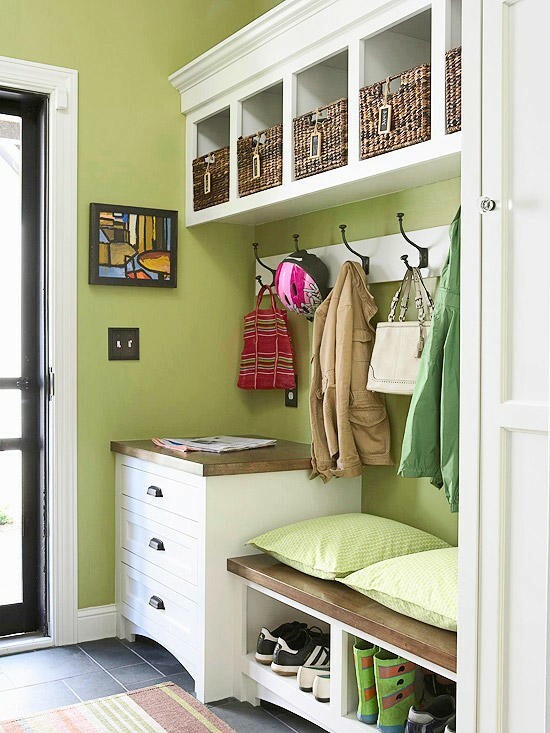 Whether you are utilizing a small space or you have a whole mud room to work with, be creative and make it a space that fits in with the décor of your home.